Let us be your friends in the tire business! We can get any tire! Professional Tire & Radiator Service Offers Auto Repair Services You Can Count On! Professional Tire & Radiator Service has been providing customers in the Columbia, SC 29203 area with high-quality automotive maintenance and repair services since 1990. Our experienced mechanics will get your vehicle up and running again, and we'll keep it in top operating condition. We provide a range of services, including 4x4 Services, Alignment, Brakes, Car & Truck Care, Domestic Cars & Trucks, Electrical Services, Electronic Services, Engine & Transmission, Engine Maintenance, General Services, Heating and Cooling Services, Import Cars & Trucks, Miscellaneous Services, Quick Lube Services, Tires, Towing, Transmission Services and Undercar Services. We're proud of our great mechanics, who have years of experience working on many different types of vehicles. They have the knowledge required to diagnose your problems, and to find affordable solutions to get you back on the road quickly. To learn more about our services, call us at 803-256-3355 or email us today. We're looking forward to earning your trust as a friendly, honest and reliable alternative for your auto maintenance and repair needs in Columbia. These guys are all wonderful! I have received excellent service from them and they are always kind and honest, never overcharging or up-charging for repairs. They always take good care of me! I always come here for oil changes and other car troubles because I can trust them to do the work well. Todd Brantley and his crew are fantastic! Trustworthy and fast. Just had my tire service there. They found a screw inside my tire and a dented rim. He even showed me the tire before servicing it. He was honest and fast. I will be back! Todd and his team are hands down the best around! Excellent service and extremely knowledgeable and HONEST. No up-selling, straight forward. They explain your options, couldn't be happier. They tell you reasons why and the why's aren't lies. Technicians have excellent work ethic, so you don't overpay for labor. Cant beat this tire and radiator service! 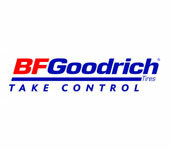 We have used Professional Tire for a couple years to service our fleet vehicles. I have been nothing but happy with the service they have provided. Also use them on my personal vehicle as well, have a lot of confidence in them doing quality work.